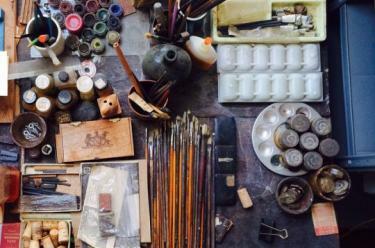 Founded at the Detroit Institute of Arts in 1954, the Archives of American Art collects, preserves, and makes available primary sources documenting the history of the visual arts in the United States. ​The Archives of American Art is the world’s preeminent and most widely used research center dedicated to collecting, preserving, and providing access to primary sources that document the history of the visual arts in America. Founded in Detroit in 1954 by Edgar P. Richardson, then Director of the Detroit Institute of Arts, and Lawrence A. Fleischman, a Detroit executive and active young collector, the initial goal of the Archives was to serve as microfilm repository; this mission expanded quickly to collecting and preserving original material and in 1970, the Archives joined the Smithsonian Institution, sharing its mandate: the increase and diffusion of knowledge. Our resources serve as reference for countless dissertations, exhibitions, catalogs, articles, and books on American art and artists, and preserve the untold stories that—without a central repository such as the Archives—might have otherwise been lost. Our vast holdings are a vital resource to anyone interested in American culture over the past 200 years and consist of more than 20 million letters, diaries, scrapbooks, manuscripts, financial records, photographs, films, and audiovisual recordings of artists, dealers, collectors, critics, scholars, museums, galleries, associations, and other art world figures. 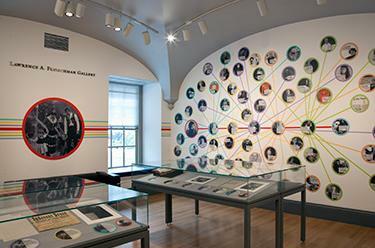 The Archives also houses the largest collection of oral histories anywhere on the subject of art. Founded on the belief that the public needs free and open access to the most valuable research materials, our collections are available to all who wish to consult original papers at our research centers or use our reference services remotely every year, and to millions who visit us online to consult digitized collections. The Archives is still growing! Each year, our collecting specialists travel the country seeking the papers of artists, dealers, and collectors, and once new collections are acquired, professional archivists preserve the materials and create easy-to-use guides.